The City of Fort Myers has experienced rapid growth in recent years. Of course, this also means that the frequency of car accidents has also increased. If you work or live there and commute to and from the city regularly, you may have had a car accident and suffered personal injuries. If that happened to you and your loved ones, then call the Fort Myers car accident lawyers at the Wolfson Law Firm for assistance. We will help you figure out how to get the compensation and the justice that you deserve. It is possible that the liable person or the insurance company will attempt to make you sign a settlement, but do not accept that before speaking to a lawyer. Their offer will almost never be the full value of your damages. To get a better understanding of your legal rights and options call our Fort Myers car accident attorneys at 239-777-9954 for your free and confidential consultation today. Fort Myers is the seat of Lee County and a gateway to Southwest Florida. It has been inhabited during the American Indian Wars in 1830's, when a fort was built in what is now the city. The fort was built to serve as a base of operation against the Seminole Indians. However, the city is considered to be founded in 1866 by Captain Manuel A. Gonzalez. In the next century, Fort Myers was known as the home of some big names like Thomas Edison, Henry Ford, and Harvey Firestone. Nowadays, it is a rapidly growing city with estimated 77,000 residents. It is one of the major tourist destinations in Florida due to the nice beaches as well as the estates of Thomas Edison and Henry Ford. No matter what type of accident you are injured in, our Fort Myers car accident lawyers know and understand the effect an accident can have on a family. All too often, an accident can impact a family in a ripple effect. A simple car accident in Fort Myers can also affect loved ones, friends and co-workers. Even if it is only your car that is damaged, everyone must pitch in – co-workers to cover for you at work; family members to pick up and drop off the kids; and someone to help you got to the store. If you are severely injured in a Fort Myers car accident, then your problems multiply in ways you could never imagine. That is why it is important for you to call a Fort Myers car accident lawyer as soon as possible so you can get the help you need so you can get the compensation and the justice that you deserve. Our Fort Myers injury attorneys have represented injured victims in Florida since 1963 – that is more than 55 years of assisting personal injury victims and survivors of wrongful death accidents. At the Wolfson Law Firm, we are ready to help you and yours right now. Just call us at 239-777-9954 for your free consultation. Being injured in a car accident can be a devastating experience. Your personal injuries don't only affect you, but your family as well. The entire process can be overwhelming. That is why you should speak with the best Fort Myers car accident attorney you can find. You need to understand your legal rights so that you can make informed decisions on ow to move forward and protect your family. Let us handle the insurance company, the experts and investigators. You just take care of your recovery and your family. Don't try to represent yourself and go through the process alone. Insurance companies know how to take advantage of people who do not know the laws very well. Let us fight aggressively for your right to get damages recovery. You may be compensated for all the injury-related harms and losses, including medical bills, compensation for physical pain, scarring, lost earnings, and other injuries depending on the circumstances of your case. 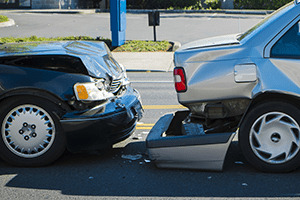 Call our Fort Myers car accident lawyers at the Wolfson Law Firm for help at 239-777-9954. The Wolfson Law Firm is located at 3049 Cleveland Ave #140, Fort Myers, FL 33901. In addition to Fort Myers, we also serve Cape Coral, Pine Island, San Marcos Island, Bonita Beach, Estero, Sanibel, Fort Myers Beach, Lehigh Acres and Captiva. Our consultations are free. We handle cases on a contingency basis, which means that you won't pay us fees unless and until we recover for you.